Well this year, I'm going to do things a little differently. 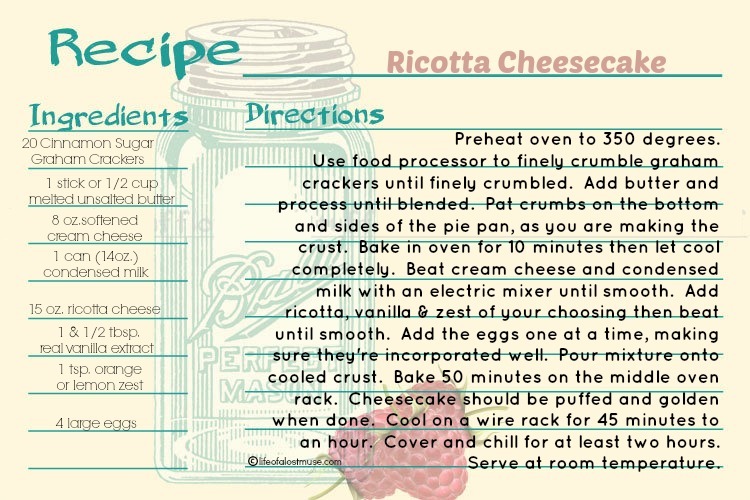 This year I'm bringing my Ricotta Cheesecake. It's easy, it's simple and most important of all - it's delicious! As always, I've made a recipe card for you below. Just right click to save, then print it out in whatever size you like. I make this dessert festive by throwing a few of my favorite red & blue berries on top. No need to be uniform, just make it festive!